The use of management consultants in the NHS may actually be leading to inefficiencies, a new study suggests. Money spent on management consultants seems to have the reverse effect to that intended, researchers say. After examining data for 120 hospital trusts in England between 2009-10 and 2012-13, they found that on average each trust spent £1.2 million a year on consultants. The study, published in the journal Policy and Politics, details how yearly expenditure on management consultants across the NHS almost doubled from £313 million in 2010 to £640 million in 2014. When researchers from the University of Bristol, the University of Seville, in Spain, and Warwick Business School linked the trusts’ data to two standardised indicators of efficiency, they found there was a relationship between consulting expenditure and organisational inefficiency. They found that spending on management consultants was associated with inefficiency equivalent to an average annual loss of £10,600 a year for each hospital trust. This figure applies to the average spend and does not take into account the actual amounts spent on consulting at each trust, which ranged from zero to £5.6 million per year. Although some trusts did experience efficiency improvements, these were the exception rather than the norm, the researchers say. The authors say more research is needed to explore the link, but question whether it is ‘appropriate’ for the health service to continue using external consulting advice at its current level. 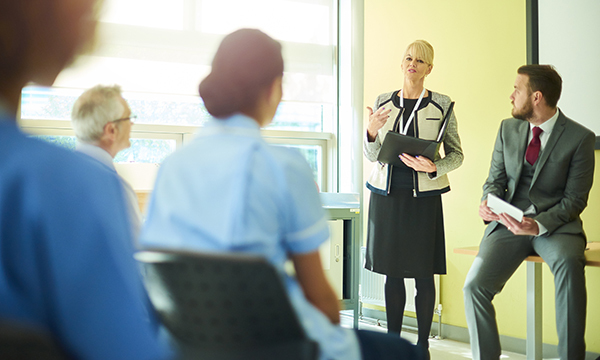 University of Bristol professor in management Andrew Sturdy said: 'Our research has clearly shown that management consultants are not only failing to improve efficiency in the NHS but, in most cases, making the situation worse. 'Data shows that it's a system-wide problem. This is money which, many argue, could be better spent on medical services or internal management expertise. An NHS Improvement spokesperson said: ‘We are working with all trusts on reducing their costs, which includes spending less on management consultants; and have had some success. Since 2013, trusts have reduced their spending on management consultants by £150 million, a significant improvement.